Blessed with an abundance of nature, there is much to see and do in Mission Beach. The closest mainland point to the Great Barrier Reef means that travel times are shorter and with only two reef boats, your experience of this amazing natural wonder is shared by only a select few. Just offshore are many deserted islands to sail or sea-kayak to and explore, most of which are protected National Parks. For the more adventurous, there is some of the best white water rafting in Australia nearby, as well the opportunity to parachute over and land on one of the most scenic coastlines in the world. The rainforests surrounding Mission Beach offer a wealth of sights and sounds to the walker with a diverse range of habitats and eco-systems to explore. On your arrival, Sanctuary’s knowledgeable staff can assist you to decide which of the many trips and operators will suit your needs.. 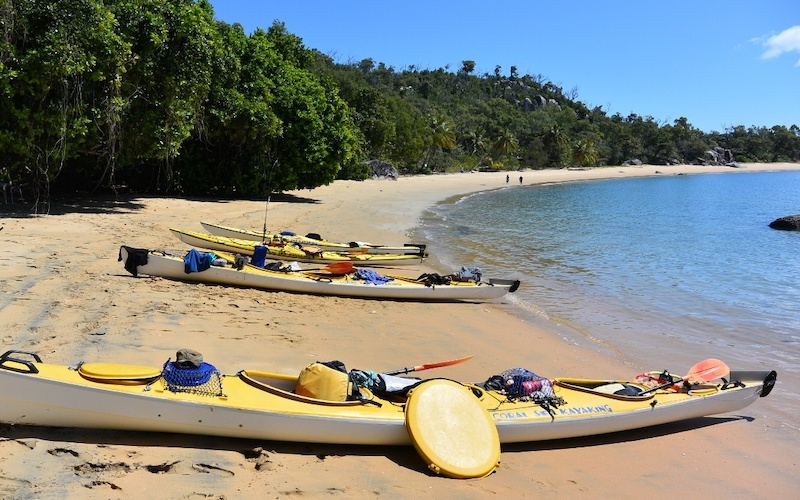 Choose the fun and eco-friendly way to explore the tropical waters and rainforest of magical Dunk Island with Coral Sea Kayaking. Glide silently over the fringing reef and spot turtles and dolphin. Relax on white sandy beaches, snorkel over the reef, and enjoy a stroll through the rainforest. Learn about the island and reef ecology, and the Aboriginal and pioneering history of the area from your friendly and knowledgeable local guide. The trip includes paddling instruction, morning nibbles, all snorkelling gear, environmental interpretation, a luscious lunch and safety and paddling equipment. 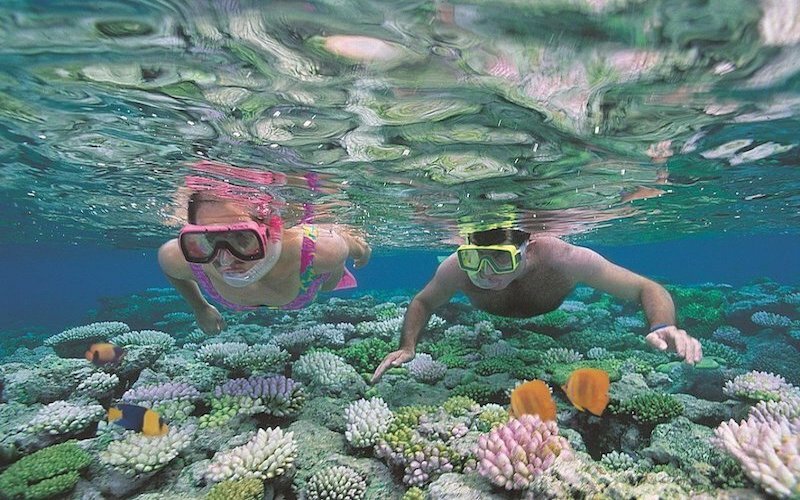 Just over an hour’s boat ride away, experience the reef and its thousands of tropical fish, its colourful array of coral gardens and giant clams with the use of snorkel equipment. 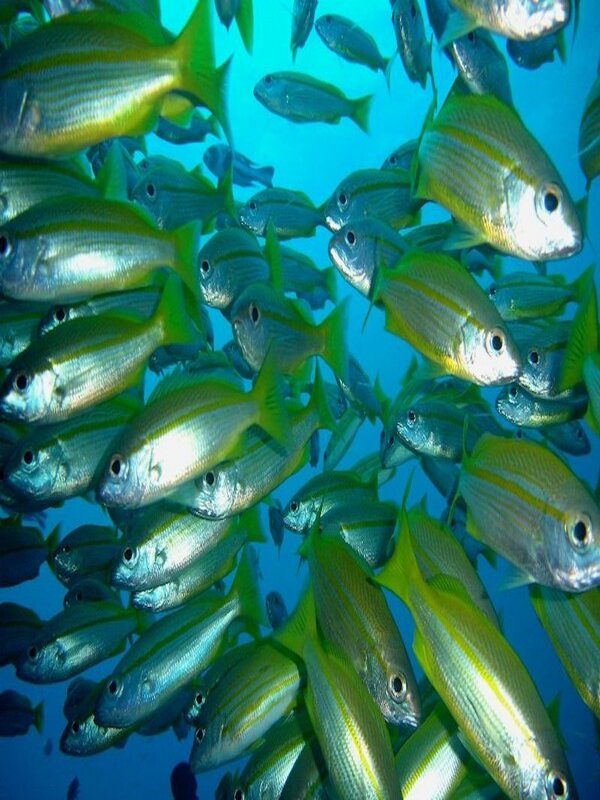 Scuba diving is also optional for beginners and certified divers, while a glass bottom boat is available for non-swimmers. 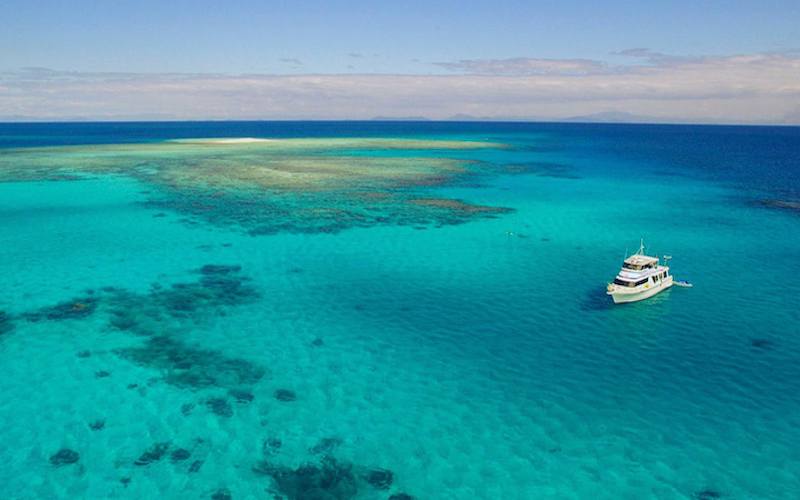 Several companies offer day cruises to a variety of areas of the Great Barrier Reef, each with different features to suit different needs and budgets. Exhilarating white water rafting down the spectacular Tully Gorge. 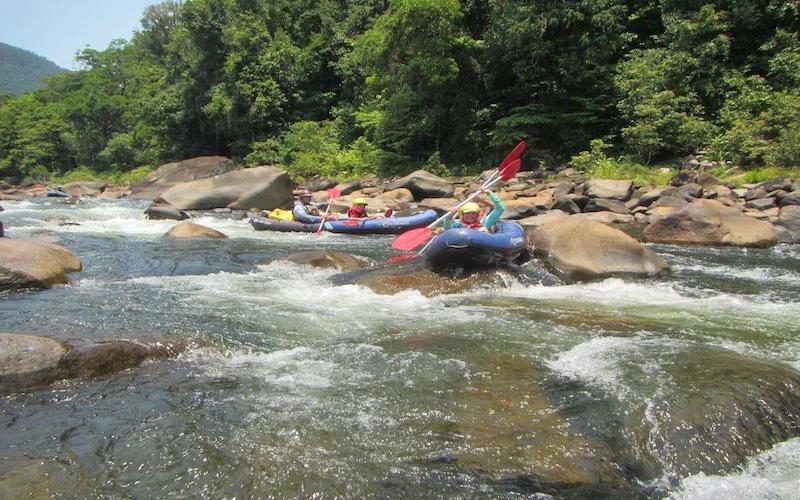 This action-packed, full day trip includes a BBQ lunch, trained guides, all tuition, and state of the art equipment. Photos and video are available for purchase. 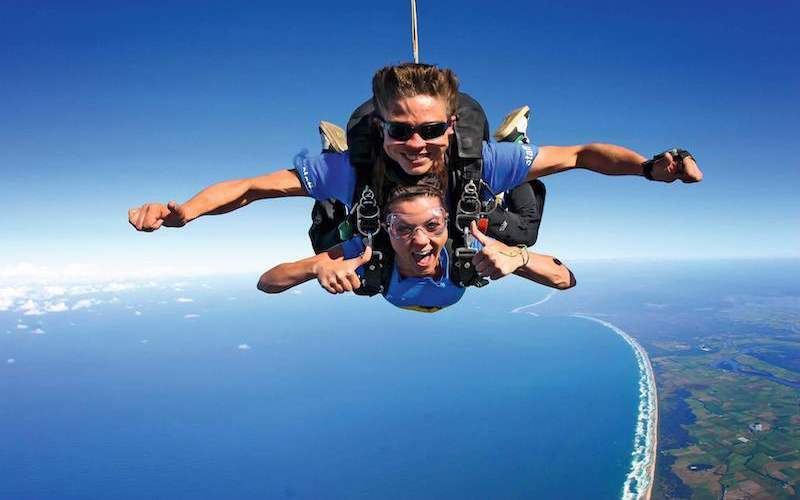 Experience a tandem skydive with ‘SkyDive Australia’ or ‘Jump the Beach’. Enjoy the spectacular views of the 14 kms of golden beaches, world heritage listed rainforests and the nearby Great Barrier Reef and Islands. Please ask at reception which company will suit your needs, when booking your preferred jump time. The best known of Australia’s tropical isles, known to the original inhabitants as Coonanglebah Island of Peace and Plenty. 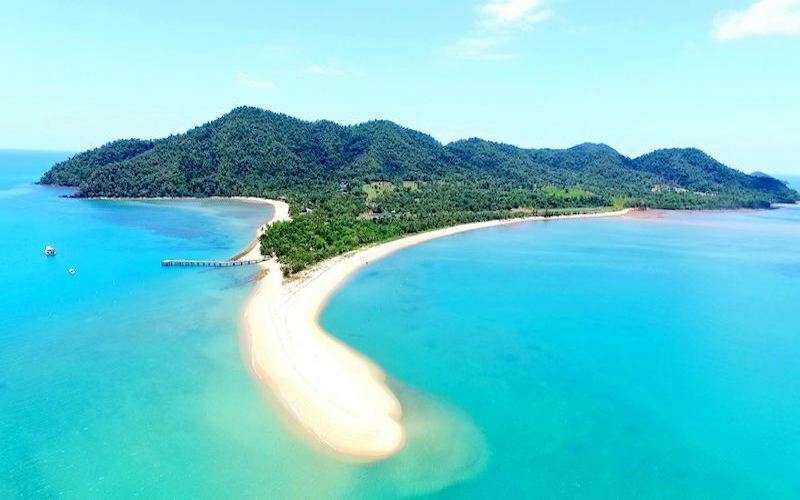 Covered with rainforest, secluded beaches and the area’s best walking trails, a day on Dunk Island is not to be missed. The 3 hour circuit walk takes you to the top of Mt. Kootaloo with panoramic views of the rest of the Family islands and the mainland coastline. Down through the Palm Valley to Coconut Beach and then along the coastline to Pallon Beach and Dunk Island Resort. On Mondays and Thursdays, you can visit Bruce Arthur’s Artist Gallery nestled among the rainforest. See everything the magnificent Hull River has to offer; the rainforests, mangroves and birdlife by day. Enjoy a sausage/fish sizzle as the sun sets over the estuary. After dark, try to catch different fish and crabs as you spotlight your way upstream. 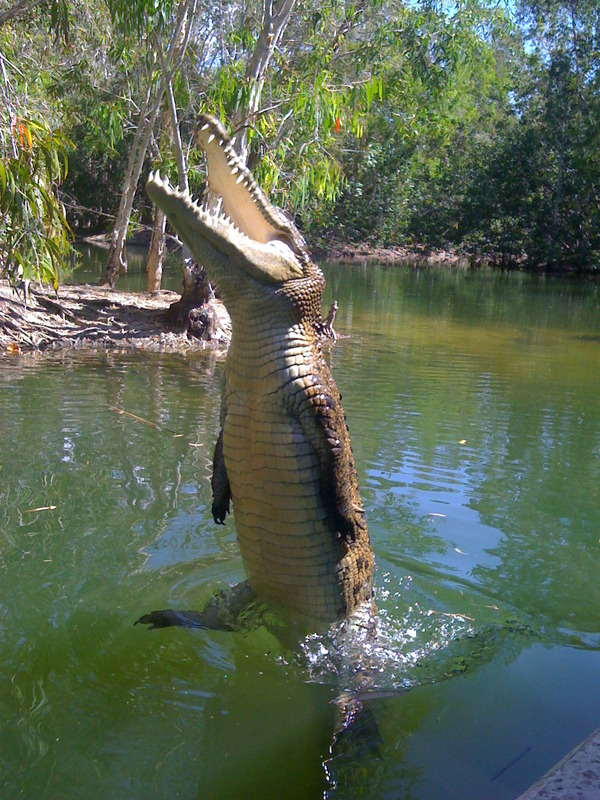 Enjoy the Hull River, a major wetland breeding area for cassowaries, crocodiles, fish and mangrove birds. Go fishing on one of the complete range of sites from river to reef. The spectacular scenery and laid back crew offers something for everyone. From beginner to the light tackle enthusiast, a trip can be tailored to suit all anglers. No experience is necessary. Tuition provided by your skipper. Discover the true nature of Mission Beach by exploring its many interpretive National Park trails. Tropical rainforest is the richest and most complex of the earth’s environments in plant and animal life. 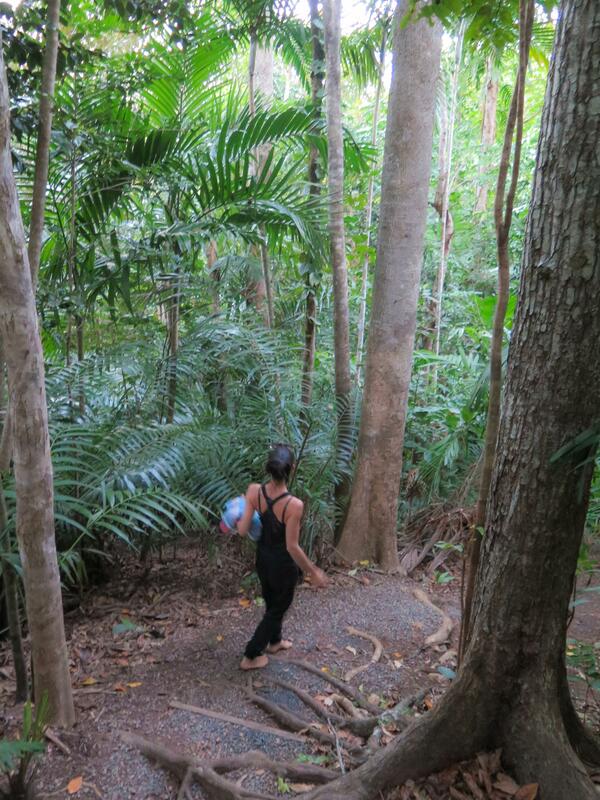 Mission Beach has many walking trail ranging from 30 minutes to 4 hours, showcasing the diversity of the rainforest around creeks, hills and paradise beaches.